I have listed several Power of Sale properties over my 29 years as licenced agent, the most recent one I listed was in STREETSVILLE. Sometimes I have clients asking me about Power of Sale properties because they think they can “get a good deal” and potentially purchase the property at less than market value. This is a misconception many people have and I would like to point out some information you should be aware of, in order for you to make an informed decision. “Getting a Good Deal” isn’t always the case, as the Bank or Financial Institution must sell the property at fair market value or risk being sued by the previous owner for selling at a lower amount. The Bank must get at least the outstanding amount owing on the property, plus sufficient funds to pay the commission, and any surplus is paid back to the owner. Once the Bank has taken possession of the property, after default by the owner, the Bank takes full control of the property and usually lists with a Realtor on MLS to get the property sold. They typically require all offers to be faxed, and ask for 48-72 hours for irrevocable time, and only review/accept offers during business hours. There also some pitfalls associated with buying a power of sale property. Typically, the lender does not allow for any inspection conditions in the offer… If you want an inspection you must conduct that prior to submitting an offer and depending on the findings, decide if you want to proceed. The previous owner has up to the 11th hour, even if a firm offer has been accepted, to bring his mortgage payments current and repossess his property. Where would you go then? The Bank usually includes many schedules and it would be prudent to have your lawyer review these prior to signing. Therefore, getting a “good deal” isn’t always the case with Power of Sale properties, as there is some risk level associated with these properties, and you could end up having your contract negated if the owner brings his mortgage payments up to date before the property changes ownership. You should ensure you get all the information associated with Power of Sale purchases from your real estate agent or lawyer relative to the laws in your area before signing on the dotted line! I live and work in STREETSVILLE and have a vested interest in property values here. Are you considering buying or selling or know anyone who is? Give me a call for a complimentary evaluation/assessment of your home in this changing market. (416) 717-6331. When did you last conduct a financial assessment of the value of your home? DUE DILIGENCE WHEN LISTING A PROPERTY.. CHECK FOR ANY DEBTS OR REGISTERED LIENS.. I had a phone call a few years ago from a past client who asked if I could write a Letter of Opinion on the value of her house for her bank. She said she had found herself in a bit of a financial mess and I suspected she was applying for a second mortgage. I found out later that she was behind on her mortgage paymentS and the bank was threatening to foreclose. She said she would stay in touch, and would most likely be putting the house on the market soon. Well, she called me a few nights later, and I went to her home to list it, BUT not before I asked to see all her mortgage documents to see if she actually still had some equity in her home to pay expenses, i.e. commission, lawyer fees. etc. As it turned out, she did have some equity, about $50,000 after commission, lawyer fees, etc. It is so important that we do our due diligence before listing a property. We could end up selling a home that has more debt than it is worth, and nobody gets paid! That happened to me a few years ago, when I was representing the Buyer. As it turned out when the lawyer was searching title about 10 days prior to closing, he discovered were liens registered again the home. These liens amounted to more than the value of the house, which meant there was “zero” left to pay anyone! It all turned out in the end and the lawyer negotiated with the creditors, and we all ended up getting paid, but it could have turned out badly for everyone. Do your DUE DILIGENCE!! and verify mortgages to ensure there is sufficient equity in the home you are selling!! Are you relocating or moving to Streetsville, Mississauga or the Greater Toronto Area and need a real estate agent? When you choose me to handle your Streetsville, Mississauga real estate needs, you choose a real estate professional who cares about you and your family, and who listens to your needs. I will work together with you, protecting your interests, to achieve your objectives. Proud recipient of the Platinum award for outstanding service with a rating of 100% voted by my clients!! A great experience starts with a great agent ! Helping You Make The Right Move since 1987. Call me at (905) 363-4622 or direct at (416) 717-6331. WHAT ADDITIONAL COSTS ARE INVOLVED WHEN PURCHASING A HOME? Buying a home can be a very emotional event… and it can be very stressful … and in the excitement of the process, it’s all too easy to forget the additional costs involved in any transaction of buying a home. Keep in the mind that buying a home is one of the largest financial investments you will probably make and planning and budgeting for it is essential. Talk with your agent and find out about them, and budget for them in the home buying process. Here are just a few of the costs involved you need to know about, so you can budget for them. This is an absolute must have, for both re-sale and newer homes. Ask your agent to insert that condition in your offer. Home inspections usually take about 2 – 2 1/2 hours and the cost will range from $375.00 – $450.00 depending on the size of the home, and whether the basement is finished. When applying for your mortgage for your new home, most financial institutions require that an appraisal be done to determine how much they are prepared to lend you. If this is not covered in the cost of the mortgage, it usually runs about $200.00 – $250.00. Discuss the various payment options with your financial institution i.e. monthly, bi-monthly, weekly etc., to determine which one suits your needs.. Also discuss types and terms of the mortgage. Types would open, closed, etc. and term means how long these rates will apply, i.e. 6 month term, 2 year term or 5 year term. Amortization would indicate the total length or amortization period of the mortgage, i.e. 20 year, 25 year, etc. It would be advisable to obtain a pre-approval from your bank and lock in the interest rate while you shop for your home. This way, if the rates increase, you are locked in… If the rates decrease, you can get the lower rate. These are normally valid for a period 90-120 days. If you are only putting 5% down on your mortgage, mortgage insurance is mandatory, and usually a requirement with a 20% down payment, or less. It can include a minimal charge and would be slightly higher if you are self-employed without benefit of third-party verification of income. Title insurance is a one time charge that you can ask your lawyer to include in your closing costs. This will cover any unforeseen issues that you were not aware of that could appear after closing. Title Insurance costs depend on the value or purchase price of the home, but an average cost is about $250 – $300 and is a one time charge. A survey document is an up to date document showing the exact property line, and all buildings, fences, etc. located on the property. In many cases the Vendor will have one, and if your lawyer insists on having one, plan on spending about $1,000 – $1,500. This would be beneficial if you are planning on making any changes to the property, i.e. installing a fence around the perimeter, installing a pool, etc. This can sometimes be overlooked when calculating your monthly costs. Get a few quotations and make sure your enquire about any separate riders you may need for jewellery, furs, art, antiques, etc. Some condos fees include costs such as hydro, heat, roofs, parking, windows etc., but some do not. These can be found in the Status Certificate, which your lawyer will review. He/she will look for any deficiencies in the financial position of the condo corporation, ensure the insurance on the property is sufficient and in place, any special assessments that may be coming up, and a review of the monthly condo costs. I would recommend you call at least 2 lawyers and ask what their fees are for closing on both buying and selling… and be sure to ask for the cost of disbursements. Your lawyer will check the title to the property to ensure it is free and clean of liens or encumbrances. This tax is levied on every purchase and covers the cost of transferring the property from the previous owner to the new owner. There are sometimes reductions offered by the Government for first time homes buyers, or senior buyers. It usually calculates to be about 1% + – of the purchase price. The house inspection will usually reveal small repairs or items to make note of for future repairs. Sometimes it is just a bit of paint, of replacing an electrical outlet.. or as large as replacing the roof, or furnace. Take note, or bring a camera with you to record what repairs must be made, and also those repairs you would like to make in the future. Your house inspector can offer an estimate on the cost of these repairs. Your home inspection will usually be in written form and you will have a copy of any deficiencies the inspector noted in his report. Make room in your budget for replacement items, such as window treatments, new appliances, or replacing the carpet with hardwood floors. Costs will vary, depending on the items you choose to replace, but once again, get more than one quotation. Try to avoid moving at the end of the month, as moving companies normally charge a higher rate… June 30th is a date to avoid at all costs. Get at least 2 estimates, and if you are moving small items yourself, make sure to include the cost of the small truck rental. Seniors, if you are at a crossroads in your life, and making a difficult decision.. should I stay in my home? Can I stay in my home longer and manage? Thinking of downsizing? Moving to a retirement home? There are so many important decisions to make. Hire a professional to help you. 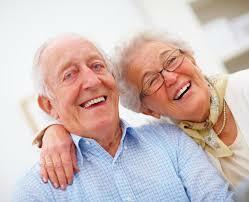 Hire an Accredited Senior Agent. 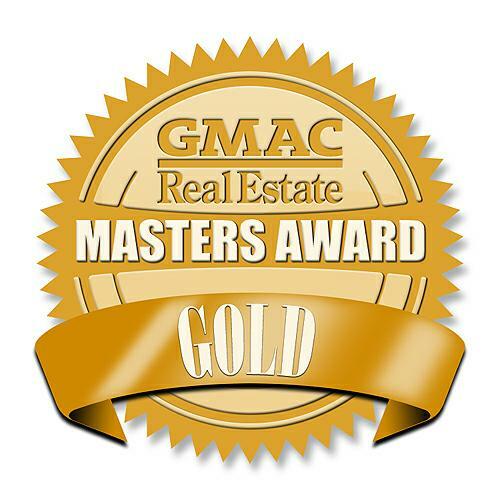 I am a Master -ASA and I will assist you whether its solving issues in your home to allow you to stay longer, or if you have made that decision to sell your home and move on.. I am here to help. I will put you in touch with my sphere of professionals who can assist you and make this move as stress free as possible. They will assist you in managing your finances, ensure your Last Will and Testament i current, that you have a current POA in place, etc. Selling a home is one of the most important financial decisions you will make, and working with the right realtor to market your home, is another important decision you will make to achieve the best possible benefit. Selling a home can be a stressful experience, and although you probably have been through the process before, every sale is different and the variables can change. Your first task, is choosing the right realtor, one who makes the experience of selling your home as pleasant and seam-free as possible, and with as little inconvenience to you as possible. I’ll help you understand all your options. No pressure. I have a sphere of professional people around me who I can refer you to, who can assist you with legal and tax matters, or capital gains issues, insurance, or a host of other issues you may need to have resolved. I am here to assist YOU in any way I can. Call me for a free consultation, to see if we can work together in resolving your unique needs, as a senior. I am a senior also and therefore have a hands on perspective to you unique needs. It’s important to have a realtor with whom you can feel comfortable, and who will make your real estate transaction as smooth and effortless as possible for you. The realtor’s job is to help their client reach their goals and satisfy their needs. Gather the information you need to feel comfortable in the decisions you make. Be there every step of the way to answer any questions or concerns you may have. Look after your interests, first and foremost. Place house listing on MLS Board, agent website, and numerous internet sites for easy accessibility to perspective buyers. Selling a home is so much more than placing a For Sale sign on the property and posting the listing on the MLS system. Finding an experienced, and knowledgable agent is crucial to a successful sale. An experienced real estate agent has a fiduciary responsibility to put your interests first and foremost. Is your agent fulfilling all your needs and expectations? I live and work in STREETSVILLE and have a vested interest in property values here. Are you considering buying or selling or know anyone who is? Give me a call for a complimentary evaluation of your home in this changing market. (416) 717-6331. When you choose me to handle your real estate needs, you are choosing a real estate professional who cares about you and your family, and who will listen to your needs, work together with you, and protecting your interests to achieve your objectives. There comes a time in everyone’s life when they are faced with decisions that can seem overwhelming. If you are a Senior or a Boomer, and are facing a decision on whether or not to sell your home, or stay in it as long as you can… or if you are a family member whose parents are in this position, then you need to seek out the services of a Real Estate Agent who is also an Accredited Senior Agent. We are here to work along side you and the professionals you want involved, and make decisions that you feel are right for you! WHAT MAKES US DIFFERENT? ‘ll help you understand all your options. No pressure. I have a sphere of professional people around me who I can refer you to, who can assist you with legal and tax matters, or capital gains issues, insurance, or a host of other issues you may need to have resolved. I am here to assist YOU in any way I can. Call me for a free consultation, to see if we can work together in resolving your unique needs, as a senior. I am a senior also and therefore have a hands on perspective to you unique needs. Yes, I AM a REALTOR® and my work includes helping people sell and buy houses. My role is never the same for any two clients; you have a smorgasbord of options and services to choose from. Everything I do, from our first chat to the closing of your home sale (if that’s the route you decide to go) is in furtherance of my one goal – the best possible outcome for you. AS AN ACCREDITED SENIOR AGENT, I have access to professional who are knowledgeable about Canadian tax laws, estates and estate planning, Wills, trusts and options on ways you can release the equity in your home for future living expenses. I have something more to offer than just selling your home, if that is the best choice for you, I have a Network of Exceptional Specialists. Over the years, I have found that clients often need a referral to a specialist. There are so many things to think about and it’s hard to find all those specialists on your own. AS AN ACCREDITED SENIOR AGENT, I will assist you to search out any government grants and loans that are in place to help you stay in your place, if that’s what you want to do. I know the local retirement homes – I’ve met the managers of many of them personally, and it would be my pleasure to help you find a new place to call home, whether you buy or rent. I like to say ‘Hire me; I’m an ASA and I’ll take the headaches out of your move.’ It’s what I’ve been trained to do, and it’s what I love to do. If your family is involved in your move, I can help take some of the burden off their shoulders. That’s what I’m here for – to handle the unfamiliar for you and your family. THE 8 MOST IMPORTANT QUESTIONS I WILL ASK YOU … When it comes to assisting mature and senior clients with their move, there are a number of important questions that must be asked. In order to help you prepare for our meeting, I offer these 8 questions as a starting point for our conversation when we get together. Do you WANT to move, or do you feel you HAVE to move? If you COULD stay in your home, WOULD you? Have you researched ALL your options? Who are you getting advice from about your living situation? Is your Will up to date? Do you have professional advisors? When was the last time you sold real estate? What questions do you have for me? For answers to your questions, email or call me today (416) 717-6331 or gvalvasori@gmail.com WHAT YOU NEED TO KNOW ABOUT INSURANCE If you’re like most people, you really don’t think too much about your various insurance coverages. In this free report, you’ll discover some things that your insurance agent may not have thought to tell you. You’ll also learn a few things to consider regarding your Provincial health coverage, and some good news about life insurance. As you read this report, remember the information is provided for thought-provocation only; you need to speak with your insurance expert for advice specific to your situation. Home Insurance – Coverage for a Vacant Home. Depending on how long you are away from your home, you need to make arrangements to ensure your home is checked regularly, especially through the heating season.In some circumstances you may need to inform your insurer, such as if you will be away for more than 30 days. Also, in cases of a fully vacant property, you will need to obtain a vacancy permit from your insurer. Note that you will likely not be covered for risks associated with vacancy, such as broken water pipes, broken glass or vandalism. It is also important to note that these vacancy permits can typically only be obtained for 3 or 4 months. Vehicle Insurance – When you are arranging vehicle insurance, make sure to let your insurance agent know if there is a sudden rise in the mileage you are doing on an annual basis. Also, if you are planning on Wintering in the Sunny South, be sure to let them know about that too. As a senior, you may find that your vehicle insurance premiums go down until you are 80, at which time some companies no longer will offer you coverage.When considering a new vehicle, cheaper cars with smaller engines will result in lower premiums, because they are seen as less costly to repair. Life Insurance Exclusions – Are you an immigrant to Canada who likes to visit ‘the old country’? Or, someone who travels the world? Insurance companies can, and do, place ‘coverage exclusions’ on policies if the policyholder travels to certain areas. For example, if you travel to the Middle East, you may not have life insurance in case of death whilst travelling there. Make sure you read your policy before travelling. Provincial Health Insurance – The Provinces differ in how long you can be outside your Province of principal residence and maintain your health care. For residents of BC, you must be in Canada at least 6 months a year, whereas Ontarians can be absent Canada for 212 days in any 12-month period. The important point is that you will require additional health care insurance if you are out-of-Canada for any period of time. Check your Provincial Health website. Long-Term Care Insurance – Sometimes this is confused with Long-Term Disability (LTD) insurance. Here’s an explanation of the two: LTD is used to replace lost income due to an injury or illness and the coverage generally expires at 65. LTC is used to help cover the cost of care due to an injury or illness. Generally speaking the person would have to have more serious health issues to claim on a LTC policy. He/she must not be able to perform 2 of 6 functions of daily living. On the plus, the coverage never expires and many policies can be paid up in a limited number of years. Many people will use LTC to supplement LTD insurance or to replace LTD as the insured approaches retirement. Is your Will up to date? While this is not completely related to insurance, it is a critical consideration for you. Studies consistently show that some 48% of Canadians do not have a Will. Of the 52% that do have one, approximately 75% of those Wills are out of date. Getting your Will updated, or having one drafted if you don’t have one, will alleviate pressure on you and ensure that your wishes are followed in the future. As an Accredited Senior Agent, one of the values I bring to you is a network of exceptional specialists that includes lawyers who specialize in Wills and Estates. These specialists can prepare your Will if need be. Do you have two Power of Attorneys in place? One for Financial and one for Medical? NOTE: While I have provided information for your perusal, I am not professing to be an expert. You are cautioned to consult your insurance expert. For answers to your QUESTIONS, email or call me today. I am the proud recipient of the Quality Service Certified Platinum award for outstanding service to my clients – a rating of 100% I live and work in STREETSVILLE. If you are considering selling or buying real estate, or know someone who is, please give me a call. I love referrals! (416) 717-6331 Web: www.gloriavalvasori.com email: gvalvasori@gmail.com Your STREETSVILE Real estate Agent – Dedicated to providing outstanding service one would expect and deserve from a real estate professional. STREETSVILLE – THE VILLAGE IN THE CITY – WELCOME TO MY HOME! Streetsville and Port Credit are the two most sought after areas in Mississauga that offer a wide range of homes in affordable price ranges for everyone. They are both communities within a larger city, with that small, home town feel that everyone is attracted to. Along the main streets of these two vibrant communities you will find historic buildings blended with the newer more modern ones, which make them both so unique. STREETSVILLE is a unique pocket nestled within the north west part of the city of Mississauga. It is referred to as “the village in the city” and occupies the west and east banks of the Credit River, with the majority located on the west bank. Streetsville is known for its wonderful schools, and its family friendly, safe neighbourhood environment. Streetsville offers a wide variety of home types from bungalows, semi-detached, condominiums, and town homes. The majority of homes in Streetsville are detached. Property values in this quaint community range from $450,000 up to over $1,200,000 making it a wonderfully affordable place for a variety of families to live. Port Credit, nestled along the shore of Lake Ontario, is a vibrant, friendly community notable for its beautiful tree lined streets, large lots with beautiful homes that have retained their character and charm, making it one of the most desired areas to live in Mississauga. The blend of character homes with the new, trendy condominiums and town homes, offers a variety of living styles to choose from. Homes in Port Credit range in price from $500,000 up to in excess of $1,500,000. With five major highways passing through the city, Mississauga offers quick access to major markets in Canada. Toronto Pearson International Airport Canada’s busiest, is located in the city. Mississauga has one of the largest corporate/financial districts in Canada with major international companies having their Canadian headquarters located in the region including Hewlett-Packard, Microsoft, Pepsico, General Electric, Heidelberger Druckmaschinen, Fujitsu, Wal-Mart, and Intuit Canada among many other Fortune 500 companies. Mississauga is located in southwestern Ontario in the Regional Municipality of Peel. It was incorporated in 1974 and a has a population of about 700,000 and is Canada’s sixth most populous municipality. It has almost doubled in population in the last two decades. Mississauga covers 288.42 square kilometres of land, fronting 13 kilometres (8 mi) of shoreline on Lake Ontario. On January 1, 2010 Mississauga bought land from the Town of Milton and expanded its border by 400 acres to Highway 407. Mississauga is bounded by Oakville and Milton to the west/southwest, Brampton to the north, Toronto to the east, and Lake Ontario to the south/south-east. Halton Hills borders Mississauga’s north-west corner. With the exception of the southeast border with Toronto (Etobicoke Creek),Mississauga shares a land border with all previous mentioned municipalities. Two major river valleys feed into the lake. The Credit River is by far the longest with the heaviest flow, it divides the western side of Mississauga from the central/eastern portions and enters the lake at the Port Credit harbour. The indented, mostly forested valley was inhabited by first nation peoples long before European exploration of the area. The valley is protected and maintained by the Credit Valley Conservation Authority (CVCA). Mississauga has had only three mayors in its history. Dr. Martin Dobkin was the city’s first mayor in 1974. He was then followed b Ron A. Searle. Searle was defeated by then-city councillor and former mayor of STREETSVILLE, Hazel McCallion. McCallion is regarded as a force in provincial politics and often referred to as Hurricane Hazel, comparing her political force to the devastating 1954 storm that struck the Toronto area. McCallion has won or been acclaimed in every mayoral election since 1978, and in recent years has not even campaigned. She was recently re-elected for her eleventh term in November 2006 winning 91% of the votes. McCallion is the nation’s longest serving mayor and was runner-up in World Mayor 2005. Mississauga is a great community to live and raise a family with great schools, and its close proximity to Toronto makes for an easy commute into the city for work, or pleasure. I live and work in STREETSVILLE and have a vested interest in property values here. Are you considering buying or selling or know anyone who is? Give me a call for a complimentary evaluation/assessment of your home in this changing market. (416) 717-6331. I live and work in STREETSVILLE. If you are considering selling or buying real estate, or know someone who is, please give me a call. Your STREETSVILLE Real Estate Agent – Dedicated to providing outstanding service one would expect and deserve from a real estate professional. ARE YOU A SENIOR LOOKING FOR GUIDANCE? SEARCH OUT AN ACCREDITED SENIOR AGENT TO ASSIST YOU! There comes a time in everyone’s life when they are faced with decisions that can seem overwhelming. If you are a Senior or a Boomer, and are facing a decision on whether or not to sell your home, or stay in it as long as you can… then you need to seek out the services of a Real Estate Agent who is also an Accredited Senior Agent. We are here to work along side you and the professionals you want involved, and make decisions that you feel are right for you! As an Accredited Senior Agent, I’m NOT out to get your listing; I work as a consultant, side-by-side with you and whatever advisors you want involved. I have only one goal in our relationship, to help you come to the best decision for you. If that decision is to stay in your present home, then that’s a good thing for you. I’ll help you understand all your options. No pressure. I have a sphere of professional people around me who I can refer you to, who can assist you with legal and tax matters, or capital gains issues, insurance, or a host of other issues you may need to have resolved. I am here to assist YOU in any way I can. Call me for a free consultation, to see if we can work together in resolving your unique needs, as a senior. I am a senior also and therefore have a hands on perspective to you unique needs. Yes, I AM a REALTOR® and my work includes helping people sell and buy houses. My role is never the same for any two clients; you have a smorgasbord of options and services to choose from. Everything I do, from our first chat to the closing of your home sale (if that’s the route you decide to go) is in furtherance of my one goal – the best possible outcome for you. AS AN ACCREDITED SENIOR AGENT, I have access to professional who are knowledgeable about Canadian tax laws, estates and estate planning, Wills, trusts and options on ways you can release the equity in your home for future living expenses. I have something more to offer than just selling your home, if that is the best choice for you, I have a Network of Exceptional Specialists. Over the years, I have found that clients often need a referral to a specialist. There are so many things to think about and it’s hard to find all those specialists on your own. AS AN ACCREDITED SENIOR AGENT, I will assist you to search out any government grants and loans that are in place to help you stay in your place, if that’s what you want to do. I know the local retirement homes – I’ve met the managers of many of them personally, and it would be my pleasure to help you find a new place to call home, whether you buy or rent. I like to say ‘Hire me; I’m an ASA and I’ll take the headaches out of your move.’ It’s what I’ve been trained to do, and it’s what I love to do. If your family is involved in your move, I can help take some of the burden off their shoulders. That’s what I’m here for – to handle the unfamiliar for you and your family. When it comes to assisting mature and senior clients with their move, there are a number of important questions that must be asked. In order to help you prepare for our meeting, I offer these 8 questions as a starting point for our conversation when we get together. If you’re like most people, you really don’t think too much about your various insurance coverages. In this free report, you’ll discover some things that your insurance agent may not have thought to tell you. You’ll also learn a few things to consider regarding your Provincial health coverage, and some good news about life insurance. As you read this report, remember the information is provided for thought-provocation only; you need to speak with your insurance expert for advice specific to your situation. until you are 80, at which time some companies no longer will offer you coverage.When considering a new vehicle, cheaper cars with smaller engines will result in lower premiums, because they are seen as less costly to repair. Provincial Health Insurance – The Provinces differ in how long you can be outside your Province of principal residence and maintain your health care. For residents of BC, you must be in Canada at least 6 months a year, whereas Ontarians can be absent Canada for 212 days in any 12-month period. The important point is that you will require additional health care insurance if you are out-of-Canada for any period of time. Check your Provincial Health web site. NOTE: While I have provided information for your perusal, I am not professing to be an expert. You are cautioned to consult your insurance expert. For answers to your QUESTIONS, email or call me today. Your STREETSVILE Real Estaste Agent – Dedicated to providing outstanding service one would expect and deserve from a real estate professional. Streetsville (a part of the larger city of Mississauga, Ontario) is a unique pocket nestled within the northwest part of the city of Mississauga. It is referred to as “the village in the city” and occupies the west and east banks of the Credit River, with the majority located on the west bank. Streetsville is known for its wonderful schools, and its family friendly, safe neighbourhood environment, making it a very desirable neighbourhood to live. As you take a leisurely stroll along Queen street, the main street in this Streetsville neighbourhood, its small town charm is quickly evident as you notice a number of historical buildings, blended with trendy shops, and the more modern suburban development surrounding it. The Ice Cream Parlour, is a popular spot on a hot sunny afternoon. Streetsville offers a wide variety of home types from bungalows, semi-detached, condominiums, and townhouses. The majority of homes in Streetsville are detached. Property values in this quaint community range from $350,000 up to $1,200,000 +… making it a wonderfully affordable place for a variety of families to live. Streetsville has a population of about 55,600. In 1974 a number of communities were amalgamated, and Mississauga became a city. The last Mayor of Streetsville, Hazel McCallion who served from 1970 to 1973, then became the third mayor of Mississauga. As of March, 2010, Mayor McCallion still occupies that office, and she lives in Streetsville. Streetsville has a number of popular community events such as the The Bread and Honey Festival in June, and the popular annual Santa Clause Parade on Queen Street. Although the former village is surrounded by modern suburban development, it seeks to keep a “small town” charm by retaining a variety of historical buildings and streetscapes. As part of this attempt to maintain a separate identity from the larger city, the names of several main Mississauga roads, as they pass through Streetsville, revert to what they were called when Streetsville was an independent village. These include Mississauga Road and Bristol Road, which revert to Queen Street and Main Street respectively. Other main thoroughfares that cross Streetsville include Creditview Road, Eglinton Avenue and Britannia Road. In 1818, the British made a second purchase of 648,000 acres (2,620 km2) of land from the indigenous Mississauga peoples. Before it could be opened for settlement, the land had to be surveyed, and as was usual for the time, surveyors would receive a grant of land from the parcel that they surveyed as compensation for their work. Timothy Street, along with Richard Bristol, a qualified surveyor, applied for a contract to survey parts of the newly available land. As they did their work, Street quickly began to appreciate the immense potential for settlement along the Credit River, and made plans to erect both a saw and grist mill once his work was finished. In April 1819, the surveyed land was opened for settlement, and the first settler in the area, James Glendinning, settled on a parcel of land along Mullet Creek. Timothy Street did build his saw and grist mills, using stones from Glendinning’s land. A large quarry of red clay lay on the west side of the village, encouraging the use of brick for construction. In 1821, Streetsville’s first general store, now known as Montreal House, was built, and still stands. Another landmark, Timothy Street’s house, was built in 1825 and is one of the oldest brick houses in Peel Region. In 1855, William Graydon and Peter Douglass built a large brick building, and sold it in 1859 to Bennet Franklin, a partner in Barber Brothers Toronto Woollen Mills. It became known as Franklin House. In 1910, under new ownership, the name was changed to the Queen’s Hotel. Although it ceased to operate as a hotel when its public room was closed with the enforcement of the Canada Temperance Act, it continued to be used for commercial purposes. At present, it has been designated under the terms of the Ontario Heritage Act and protected by a heritage easement, and now houses a restaurant and a variety of small businesses and offices. 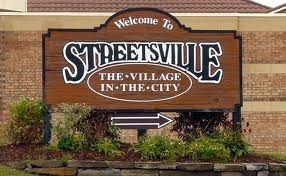 In 1858, Streetsville was incorporated as a village. Timothy Street’s son, John, was the first reeve. For the next century, Streetsville largely existed as a long narrow village with all of its shops, three churches, the cenotaph and the library located on Queen Street, which ran between the Credit River and the railway track. In 1953, two of the first suburbs in Canada, Vista Heights and Riverview, were built to the southwest and northeast respectively. Vista Heights was notable because the town council of the time made the unprecedented decision to require the developer to build a K-6 (kindergarten to Grade 6) elementary school. These suburbs and Vista Heights Public School opened in 1955, presaging the future high growth of middle-class suburbs in the area. Visit www.ontariohousevalue.com for a free online valuation to find out!! As you take a leisurely stroll along Queen street, the main street in this Streetsville neighbourhood, its small town charm is quickly evident as you notice a number of historical buildings and streetscapes, blended with trendy shops, and the more modern suburban development surrounding it. The Ice Cream Parlour, is a popular spot on a hot sunny afternoon. Streetsville (a part of the larger city of Mississauga, Ontario) is a unique pocket nestled within the north west part of the city of Mississauga. It is referred to as “the village in the city” and occupies the west and east banks of the Credit River, with the majority located on the west bank. Streetsville is known for its wonderful schools, and its family friendly, safe neighbourhood environment, making it a very desirable neighbourhood to live.